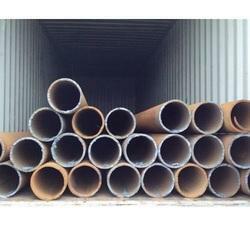 We are one of the prominent manufacturer, trader, Supplier and exporter of MS Seamless Pipe. 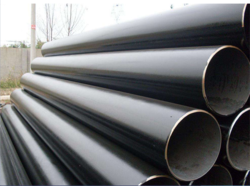 Our MS pipe also consists of other alloying elements like manganese, silicon and copper in negligible quantities. These also oiled and black painted to prevent rusting. Further, we can customize them as per requirements of the clients and at the very decent price range. 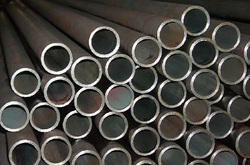 We are supplying Mild Steel Pipe which is greatly acknowledged in various industries. These are manufactured with top-rated steel and international standard parameters. These pipes can be customized as per the client's specifications with different sizes and shapes such as round, square and rectangular. 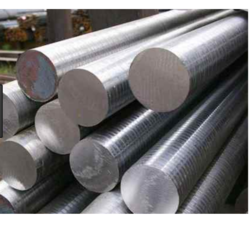 We are engaged in offering Mild Steel Round Bars to the clients. These are manufactured with top-rated steel and International Standard Parameters. Also available in En Series Grade. En-1 Laded &Non-Leaded Round Bar, En-8, En-9 & Any Grade as per requirement. We are supplying MS ERW Pipes which are greatly acknowledged in various industries. These are manufactured with top-rated steel and international standard parameters. These pipes can be customized as per the client's specifications with different sizes and shapes such as round, square and rectangular. MS Flanges is an external or internal rib or rim (lip) for strength as the flange of an ion beam or I-beam (or a T-beam) or for a guide as the flange of a train wheel or for attachment to another object, as the flange on the end of a pipe, steam cylinder or on the lens mount of a camera. Thus a flanged rail is a rail with a flange on one side to keep wheels etc. 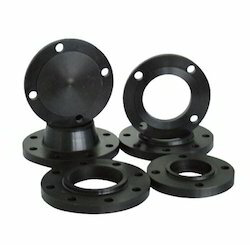 The term "flange" is also used for a kind of tool used to form flanges. We are presenting technically accurate flanges, which are manufactured from high-grade carbon, alloy and stainless which are used in various industrial applications. In the form of SORF, WNRF, BLRF, SWRF, Lap joint, threaded, reducing, spectacle etc. An Mild Steel Pipe Fitting is used in a product conveying system in which the fitting expands from the inlet pipe along the outer side of the elbow fitting to enable a layer of accumulated product particles to be formed so as to move at a lower velocity than the velocity of the incoming product stream while establishing a moving contact surface for deflecting incoming product particles toward the outlet pipe with a minimum of pressure resistance and product attrition. We offer a wide range of elbow fittings, which is engineered using superior quality metals and alloys used for various purposes such as electric, construction, off-shore construction, plant maintenance etc. 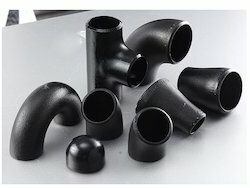 These are heavy duty elbow fittings, which is available in different sizes and dimensions.